Nearly 60 years ago, a few independent grocery retailers decided to form a buying group that would enable them to offer consumers products at prices comparable to those of major food chains. This led to the birth of Magasins Lasalle Stores Ltée. 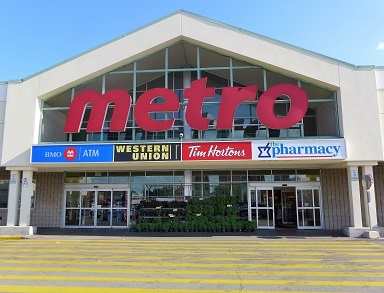 Today, it is known as METRO INC., an acknowledged leader of the Canadian food industry. In-store BMO ATM, Tim Horton’s, Pharmacy, Western Union money transfers, buy TTC metro passes, day passes & tokens.